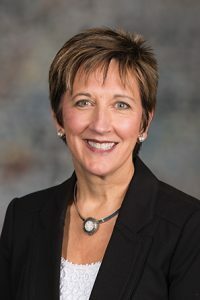 Introduced by Lincoln Sen. Patty Pansing Brooks, LB627 would prohibit employers, employment agencies and labor unions from discriminating against individuals based on their sexual orientation or gender identity. LB627 would apply to employers with 15 or more employees or with state contracts regardless of the number of employees, the state of Nebraska, governmental agencies and political subdivisions. There has been significant progress in acceptance of the lesbian, gay, bisexual, transgender and queer/questioning community, Pansing Brooks said, but LGBTQ Nebraskans still can face employment discrimination based on their sexual orientation or gender identity. Representing the Greater Omaha Chamber of Commerce, Jennifer Creager supported LB627. Omaha passed an anti-discrimination ordinance in 2012, she said, which has resulted in few claims or costs to businesses. Morgann Freeman, testifying on behalf of the Greater Omaha Young Professionals Council, said the lack of workplace protections for members of the LGBTQ community is a deciding factor in where to work—both for her as a queer black woman, and for many other young professionals. “We should be able to contribute our expertise and skill to their jobs and careers as their full, authentic selves without fear of discrimination by their employers,” Freeman said. Eli Rigatuso also supported LB627. He said he considered leaving Nebraska because of discrimination he faced in the workplace as a transgender man. Opposing the measure was Tom Venzor, executive director of the Nebraska Catholic Conference. The bill does not protect against reverse discrimination, he said, and could prevent a Christian bookstore owner from running his business as he chooses, for example. Karen Bowling, executive director of the Nebraska Family Alliance, also opposed the bill. “Government should not have the power to punish citizens for simply declining to express ideas that violate their beliefs,” Bowling said.